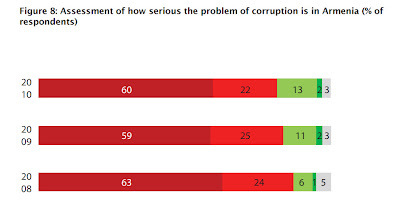 An overwhelming amount of Armenians believed that corruption is a serious problem, and there was only limited change on the fringes. The data remains available for analysis, and we believe that it continues to be important. There is a final legacy report that Casals published, accessible here. 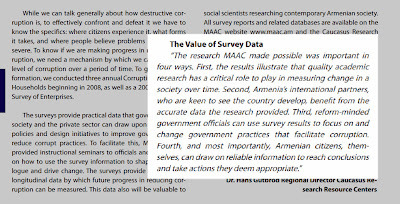 To find the data sets, and the corruption reports, click here.